Acne during pregnancy is a common problem due to an increase or imbalance of certain hormones. Although some people may blame prenatal vitamins as the cause of their acne, this idea is purely a myth and there is no scientific evidence to support the claim. 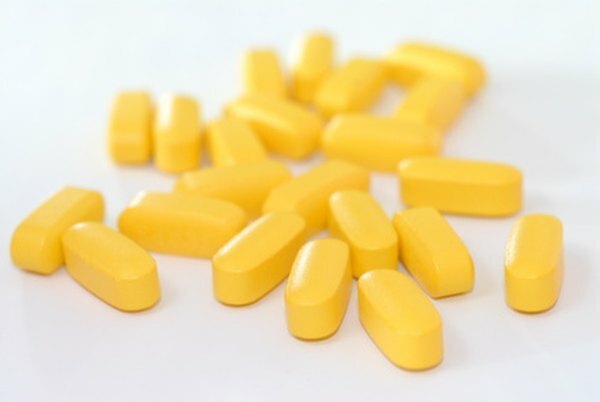 Prenatal vitamins are nothing more than regular daily multivitamins in slightly higher than normal doses and will not affect cause breakouts. The likely reason for the common myth that prenatal vitamins cause acne is that some of the women taking prenatal vitamins also experience breakouts. This is purely a correlation and the breakouts aren't due to the vitamins. Most women who take prenatal vitamins are pregnant, and pregnancy hormones cause some women to experience increased acne. The ingredients in a prenatal vitamin are very similar to those in a regular women's daily multivitamin, with some notable exceptions. Prenatal vitamins contain much more iron -- about 27 mg as opposed to 18 mg -- than complete daily multivitamins. Iron helps you build new red blood cells. The extra iron can affect your digestive tract, making you feel nauseated, but will not give you acne. Another big difference between prenatal vitamins and regular daily multivitamins is that prenatals contain large quantities of folic acid. Most multivitamins contain 400 mcg folic acid, while prenatals typically contain 800 to 1,000 mcg of the vitamin. Folic acid is one of the B vitamins, and it helps your developing baby to form the neural tube, which eventually becomes the brain and spinal cord. Folic acid won't affect your skin quality. If you're pregnant, are taking prenatal vitamins and are experiencing acne, don't stop taking the vitamins without consulting your doctor first. These vitamins play a vital role in ensuring that you and your developing baby are getting the nutrients you both need. Your doctor can help you find ways to control your acne if you're among the many pregnant women who experience problem skin during pregnancy. Because some over-the-counter acne treatments are unsafe during pregnancy, be sure to talk to your doctor before treating your breakouts at home. Is There Any Vitamin That Can Help Gain Weight?